Autonomous Vehicles Are Coming…But When? The autonomous, or driverless, vehicle market seems to be a big side topic at connected car conferences. Location technology will continue to play a role in the development of autonomous vehicle markets. However, many view a fully autonomous vehicle to be more than 10 years away — these are usually folks from the auto industry or academia. Others, those who lurk around Silicon Valley, believe that driverless cars will be on the road in half that time…and once again, if Detroit doesn’t move on it, they will. Just as GPS was once thought of as science fiction — something that naysayers said would not be fully operational for decades — autonomous vehicles are now thought of as an extension of the connected vehicle market. However, technology and legal issues will make the implementation of an autonomous, or driverless car, a tenuous road in the next few years. One executive from Verizon Telematics, which is a major player in connected car technology, said it is going to take time, perhaps between the years 2025-2030, to grow the autonomous vehicle market. Technology Hurdles Await Early Autonomous Vehicles — More Regulation than Technology? Autonomous vehicles will only continue their current momentum as the technology for assisted driving is already well underway with features like self-parking, lane departure warning, predictive collision warning, back-up collision intervention and blind spot prevention, said Scott Frank, Airbiquity vice president of marketing. Will Public Transit Be the First Proving Ground? Most companies have different opinions when asked whether the public transit area will be the first major market, and serve as the catalyst, for autonomous vehicle growth. “Although we don’t know for sure, it could be that automated public transit programs, will operate in controlled environments with known routes [meaning low speed operation with pedestrians/bicycles operating on the same thoroughfare, but the automated transit system does not have rails or guide ways — the route planning is easily changeable with no impact to the transportation infrastructure],” said Roger Berg, Denso North American Research and Development office vice president. Denso believes the autonomous vehicle market will encourage additional functionality within the premium car model lines, but gradually these advanced driver assist systems will become more and more common and eventually spread through even the economy car segment, Berg said. “First systems deploy warnings or simple lateral and longitudinal vehicle control. But then functionality for what most people refer to as ‘driverless cars’ or ‘automated driving’ would only be usable under fairly benign driving and traffic conditions, such as some level of automated highway driving,” he said. Kore Telematics, fueled by a large investment in it by ABRY Partners, bought RacoWireless in an all-cash deal, according to published reports. The transaction will give the companies a combined 3 million M2M subscribers. 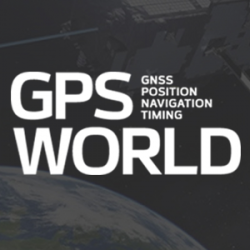 Kevin Dennehy is GPS World’s editor for location-based services, writing a monthly column for the LBS Insider newsletter. Dennehy has been writing about the location industry for more than 20 years. 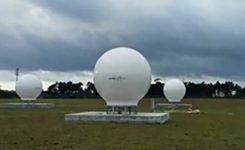 He covered GPS and location technology for Global Positioning & Navigation News for seven years. His articles on the wireless industry have been published in both consumer and trade magazines and newspapers. 1 Comment on "Autonomous Vehicles Are Coming…But When?" Autonomous vehicles are indeed almost ready to become mainstream, they have only two more issues to resolve: First, who is financially liable when the system allows an accident to happen, and second, how can the system be programmed to safely handle unanticipated situations, such as things that have not been planned for? Yes, they are fairly important, so no, they can’t be ignored.